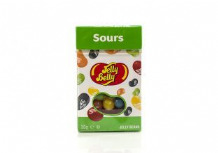 Jelly Belly Bean Boozled Jelly Beans 45g. 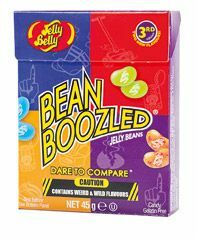 This NEW 3rd edition Jelly Belly Bean Boozled box contains 8 popular Jelly Belly flavours with 8 unappetizing jelly belly beans - unfortunately they look the same but taste soooo different - who will be the unlucky one this time! Ideal for party games adult and children alike. The flavours are very realistic - you have bean warned!